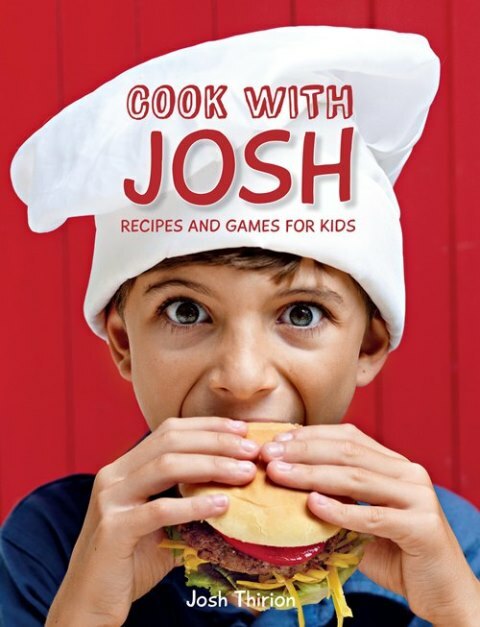 Josh Thirion won the award for ‘Best of the Best Children Food Book’ for Cook with Josh at the 20th anniversary celebrations of the Gourmand Awards at the Frankfurt Book Fair on 15 October 2015. The book was written when he was 8 and is now out of print. Josh is now 13 and has answered a few questions for the blog. I sometimes helped my mom in the kitchen since I was about three years old, but only after my first book was published, the real passion for food started. Does cleaning up and doing dishes count? To visit Universal Studios and a Hollywood movie set. Disclosure: This interview with Josh Thirion was facilitated by Jean Fryer from Penguin Random House South Africa. This post is in line with my blogging policy. A lovely interview! Thanks! I enjoyed it so much! ? SO agree on the butter, eggs and onions. I use those everyday!! Cute interview. I’ll have to look into this for my daughter as I am trying to get her into the kitchen more. Please also get her friends to join!